The debut feature of writer/director Brian Shoaf, Aardvark is a curious beast (pun intended) that is likely to test the patience of viewers as they wait for Shoaf to work out just what it is he’s trying to say, and to put more than two scenes together that are organically linked. This is a meandering, focus-lite movie that generates a modicum of polite interest in its characters, all of whom interact with each other as if they’re meeting for the first time. It’s like a version of Chinese Whispers where no one deliberately pays any attention to what the other person is saying, and misconceptions and misunderstandings abound as a natural result. In Josh this would make sense as his perceptions are skewed anyway, but there’s no excuse for Emily, a therapist who is so obtuse that when her skill as a therapist is brought into question, you want to shout out, “Finally!” Perhaps Shoaf wants us to feel more sympathy for Emily than for Josh, and that would be fine if she weren’t so poorly defined as a character. Slate does what she can, but as Emily is called upon to look bewildered a lot of the time, perhaps it’s a more perfect meld of actress and role than expected. 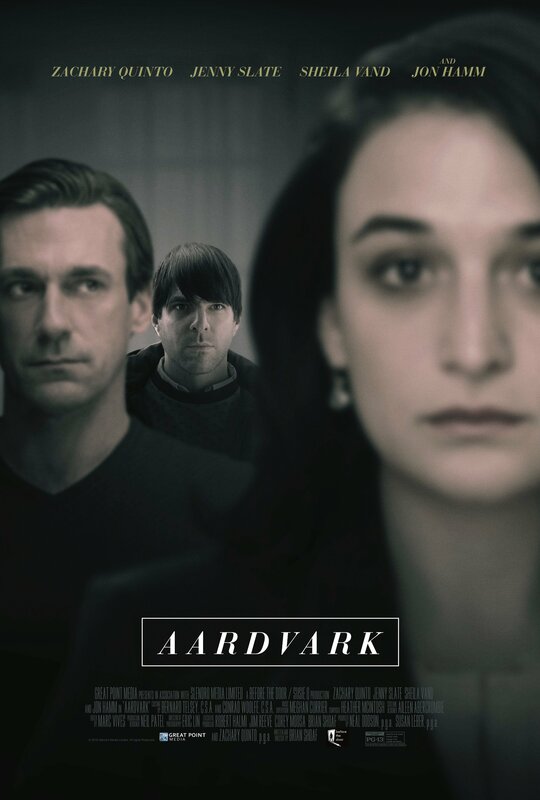 Rating: 4/10 – an indie drama that plays at being smart and contemplative while missing the mark by a country mile, Aardvark is an awkwardly assembled reminder that good intentions alone don’t make a movie; a good cast can’t save this from being anything more than a curiosity, and even then, that curiosity is unlikely to be satisfied. By now, most of us have heard of Edward Joseph Snowden (Gordon-Levitt), the NSA whistleblower who revealed the extent of the US’s surveillance programme both at home and abroad. In June 2013, Snowden flew to Hong Kong to meet with documentary movie maker Laura Poitras (Leo), and Guardian journalists Glenn Greenwald (Quinto) and Ewen MacAskill (Wilkinson). There, at the Hotel Mira, Snowden explained his reasons for disclosing the documents he appropriated from NSA data banks, and why he felt that the extent of the US’s “eavesdropping” was both inappropriate and damaging to the integrity of the US and its intelligence-gathering agencies. Following the publication of the files Snowden provided, he was charged with offences under the 1917 Espionage Act*, and though he tried to reach South America via Russia and Cuba, his passport was revoked while he was en route to Russia, and he was forced to remain in the transit area of Moscow’s Sheremetyevo Airport. And Moscow – though not the airport – has been his home ever since. 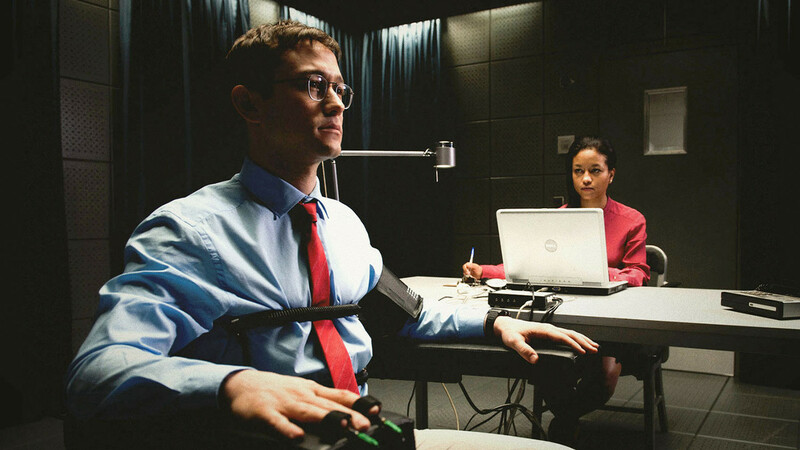 Snowden’s story is one that seems tailor-made for an Oliver Stone movie. Anyone who’s seen his documentary series The Untold History of the United States (2012-13), or read the accompanying book, will know that Stone is largely unimpressed with the way in which his country has become a land run by self-serving neo-conservatives for whom “by any means necessary” is a proud motto. And while you could argue that this has been the status quo in America for a lot longer than the last fifty years, what is without doubt is the extent to which the intelligence agencies have abused their remits post-911 to eavesdrop not just on suspected terrorists but everyone. But with all this now out in the open, and Snowden’s place in history assured – and already explored in Laura Poitras’s excellent, Oscar-winning documentary CITIZENFOUR (2014) – what is there left for Stone to bring to the screen that hasn’t already been explored? Unfortunately, the answer is not much. Watching Snowden is a somewhat dispiriting experience. Stone does what he does best over two and a quarter hours: exposing the clandestine activities of several branches of the US government, highlighting the insidious effects these activities are having on an individual’s human rights, and revealing how those same human rights aren’t even protected by the courts (who seem to be bypassed at every opportunity). But Stone’s usual passion and sense of outrage seems to be muted here. This is like watching a movie made by someone who’s intellectually aggrieved by what the NSA has been up to, but doesn’t quite feel the need to get emotional about it as well. This is Oliver Stone in restrained, almost reflective mode – and it doesn’t feel right. What all this means is that Snowden feels like objective reportage for much of its running time, with scenes placed and set up to impart relevant information, allowing Stone and co-screenwriter Kieran Fitzgerald to give audiences all they need to know about Snowden himself and the secret world he was a part of. But it’s this matter-of-fact way in which Stone has decided to present both the man and that world that curtails any tension, and thereby lessens the drama. 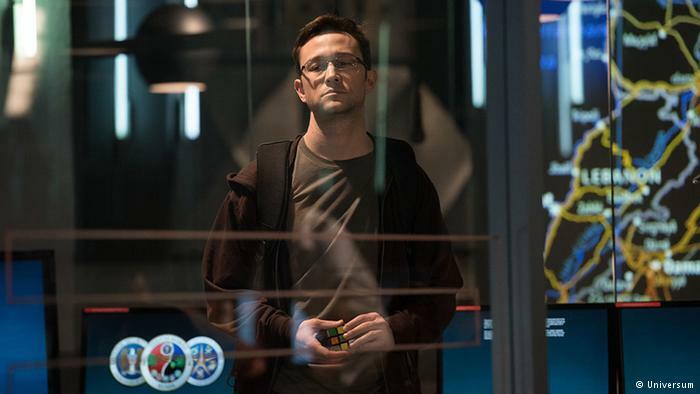 The scene where Snowden downloads a mass of files right from the heart of the NSA’s base in Hawaii, a scene that many directors could have made into a nerve-shredding exercise in trepidation and anxiety, lacks all those elements and plays out with a minimum of fuss and bother. Watching as Snowden becomes increasingly aware of the extent of his country’s malfeasance – and the ways in which he’s unwittingly contributed to that malfeasance – Stone shows Snowden’s baffled disbelief, and his somewhat naïve demeanour, but there’s a distance between the viewer and the beleaguered whistleblower that stops any real sympathy or connection from forming. As Joseph Gordon-Levitt goes about the process of making Snowden’s initial commitment to the NSA appear noble and necessary, he can’t quite overcome a lack of personality that keeps the man from registering as more than a name most people will recognise, but few outside the US will truly care about. This is partly due to the script, which, instead of showing the man behind the name through his commitment to the truth, attempts to do so through his relationship with his girlfriend, Lindsay Mills (Woodley). Would that these scenes had more of an impact, but there’s a pedantic, going-through-the-motions feel to them that Stone can’t quite shake off. There are times where they also border on soap opera, as Mills’s frustration with Snowden’s work leads to several moments where she invokes the whole “it’s me or the job” ultimatum. 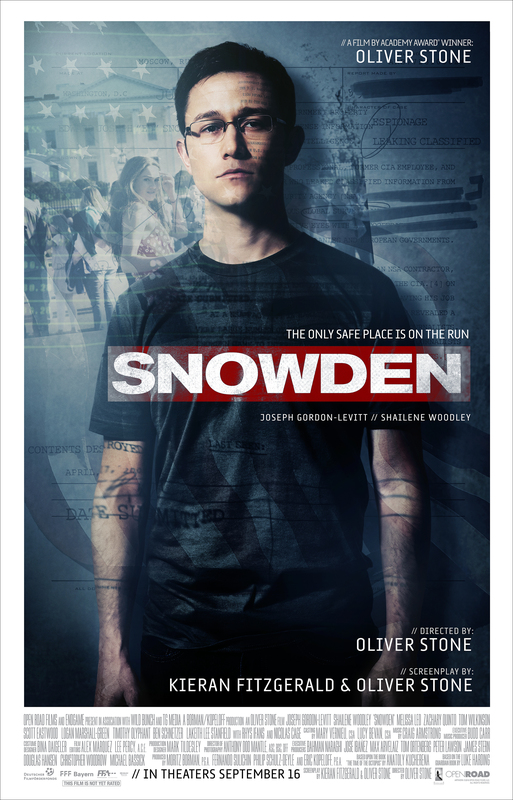 Elsewhere, the movie plods along, only occasionally engaging with the material in a way that appears earnest or committed, but doing enough to keep interested viewers interested, while not doing enough to keep viewers new to Snowden’s story on board for the duration. It’s not that Stone is doing anything particularly wrong – he still has a strong visual sense (bolstered by crisp, insistent cinematography from Anthony Dod Mantle), and the movie is expertly edited by Alex Marquez and Lee Percy – but somewhere along the way, any sense of urgency about the subject and its ramifications seems to have been lost. Perhaps it’s due to the time that’s passed since Snowden blew the whistle; in today’s need-to-know-now society is his story relevant anymore? 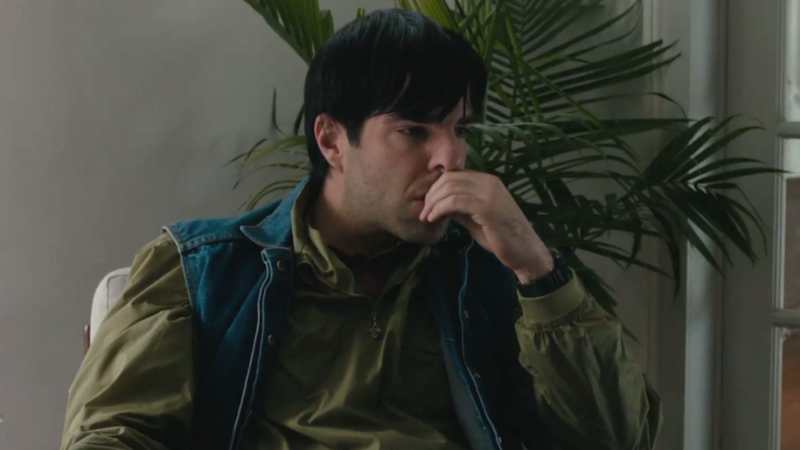 Rating: 6/10 – Stone adds another American life to his list of movie subjects, but in doing so seems more like a director for hire than the tirelessly challenging agent provocateur he usually is; what hampers Snowden is a sense that its story is no longer important, and that the movie is aware of this, which stops it from being the impassioned, thought-provoking movie it should be. *The 1917 Espionage Act is a particularly apt (and predictable) piece of legislation for Snowden to be charged under. Such is the loose nature of the Act, if Snowden were to return to the US and be put on trial, he wouldn’t be able to use any information relating to the offence as evidence that he wasn’t guilty; because of the nature of the information he released, it would still be regarded as classified and therefore not admissible, and the jury wouldn’t be privy to it. And that’s without the cost of the defense itself: anywhere between $1 million and $3 million. 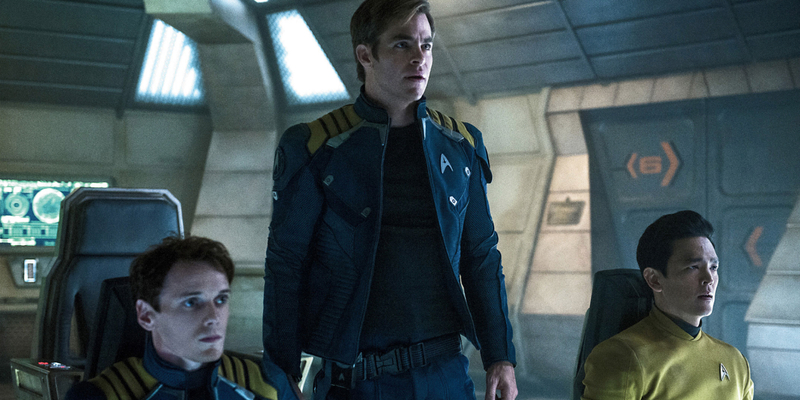 It’s unfortunate, given the response to Star Trek: Into Darkness (2013), that the latest instalment in the JJ Abrams’ revamped movie franchise opens with über-Captain James T. Kirk (Pine) lamenting his time in space as part of the Enterprise’s five year mission. After nine hundred and sixty-six days, Kirk is, frankly, bored, and as he puts it, “wondering what it is we are trying to accomplish”. It’s like a listening to a man who’s treading water in the ocean, far from land, and hoping a shark comes along to break the monotony. Harking after further adventure, Kirk sounds petulant rather than unhappy. But if it’s a challenge he’s after, then he need wait no further, because once the Enterprise has docked at the Federation’s new super-duper starbase, the Yorktown (a nod to the Enterprise’s original name in the original series’ pilot), an alien craft seeking help arrives and propels Kirk and his long-suffering crew into just the kind of adventure that he craves. Told that an alien menace headed by someone called Krall (Elba) is responsible for the abduction and imprisonment of her crew, Kalara (Wilson), leads Kirk and co to the planet where her crew are being held. Orbiting the planet, the Enterprise suffers a devastating attack, and the main saucer is forced into a crash landing – but not before Krall and his men have invaded the starship and made it clear they’re after an artifact – the Abronath – that is on board, and not before the crew have been either captured by Krall or gotten away by means of the Enterprise’s escape pods. Spock and Bones escape together, as do Kirk and Chekov, while Scotty gets clear by himself. Down on the planet, Scotty meets Jaylah (Boutella), a scavenger whose people were captured and imprisoned by Krall in the past. She takes him to what she calls her ship, and Scotty is amazed to find it’s the remains of the USS Franklin, a ship long considered to have been lost. 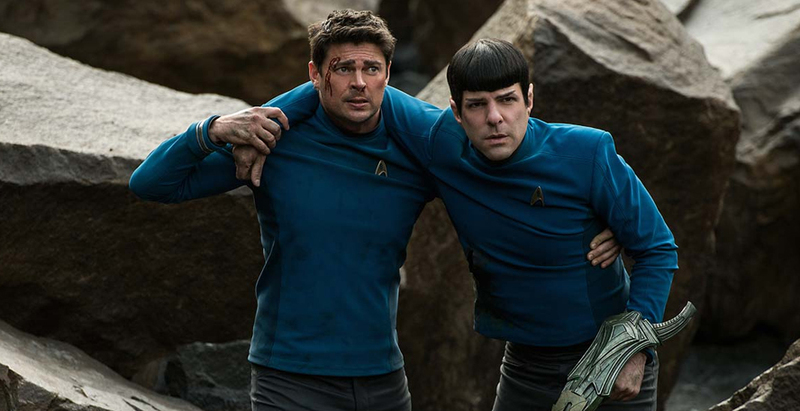 Meanwhile, Spock has been injured, and Bones is doing his best to keep him alive. Sulu and Uhura have been captured, and Kirk and Chekov head for the downed Enterprise to see if they can make it operational again. Krall appears to be one step ahead of everyone, and his motive for gaining the Abronath is revealed to be part of a plan of revenge on the Federation. Aided by Jaylah, the crew of the Enterprise come together to fight back against Krall’s homicidal intentions, and in the process, find some very unique ways of taking the fight to him. When Paramount announced that they were rebooting the original Star Trek franchise and had given the project to JJ Abrams, it seemed like a risky proposition, what with William Shatner et al having become so completely associated with the roles of Kirk and Spock and Bones etc, that it was hard to imagine anyone else portraying them. But Abrams was more than up to the task, and even managed to come up with a plot device that allowed his “new crew” to have their own adventures independently of the original movie series’ timeline. Quinto was a great choice for Spock, Pine had the cocksure audacity of a younger Kirk down pat, and Urban was possibly a better (if underused) Bones than DeForest Kelley. Only the lack of a convincing villain stopped Star Trek (2009) from being a complete triumph. And then Star Trek: Into Darkness tried to be too clever for its own good with its “He’s not Khan/Okay, he is Khan” shenanigans, and overwrought plotting. 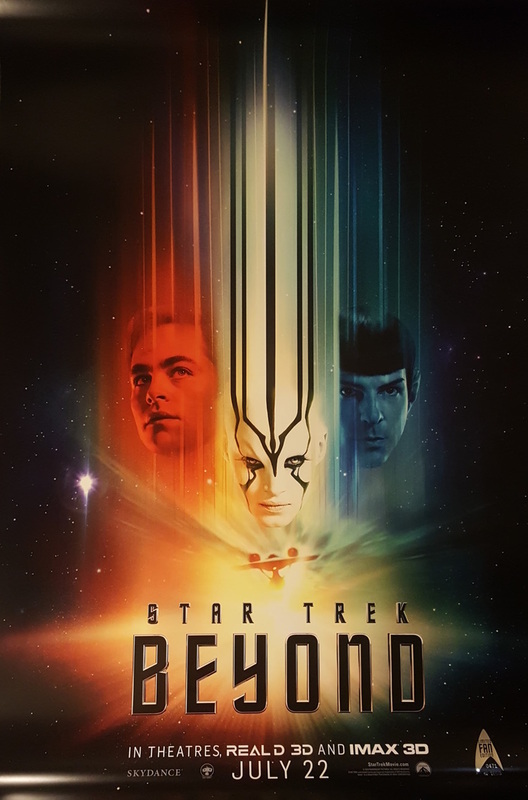 Perhaps realising that going “darker” on the first sequel works only on other sci-fi franchises, the producers have decided with this third outing to go lighter and make Star Trek Beyond more like an episode of the original series; or to be more accurate (or cynical – you decide) a retread of Star Trek: Generations (1994). The script, by Simon Pegg and Doug Jung (who appears briefly as Sulu’s husband, a gender acknowledgment that carries no weight whatsoever in the grand scheme of things), coasts along for the most part, and does what the original series always did so well: focuses on the relationships between Kirk, Spock and Bones, gives Scotty a chance to shine when something needs fixing (which happened pretty much every week), adds an alien collaborator to help the crew overcome the villain, throws in said villain and ensures they have a grudge against everyone else, and sidelines Uhura at every opportunity (though she is involved, by reference, in one of the movie’s funniest scenes). A tried and tested formula, to be sure, and one that on this occasion makes for an enjoyable if underwhelming experience. In the director’s chair, Fast & Furious alumni Lin makes a decent enough fist of things but doesn’t manage to provide audiences with anything really memorable to go away with. It’s a turbo-charged experience, to be sure, and Lin, along with his editing team (Greg D’Auria, Dylan Highsmith, Kelly Matsumoto and Steven Sprung) ensures that the movie zips along at an exciting pace. The visuals are as crisp and vibrant as you would expect, and even though there’s an over-reliance on CGI, this is to be expected: it’s a science fiction movie, for Pete’s sake; how else is it going to look? The cast enter into the spirit of things, though Elba struggles with his dialogue thanks to the kind of alien mask that looks great but probably isn’t that functional; and there’s a touching moment where Spock looks at a picture from the past (that he can’t possibly have). All in all, Star Trek Beyond is a movie that falls under the heading of “honourable mention”. It’s not going to be at the top of anyone’s list of all-time favourite Star Trek movies, but it won’t be anywhere near the bottom, like Star Trek V: The Final Frontier (1989). It zips along like a young child eager to show off the neat-looking toy it’s just found, but as any parent will tell you, even neat-looking toys can lose their attraction quickly and without warning. 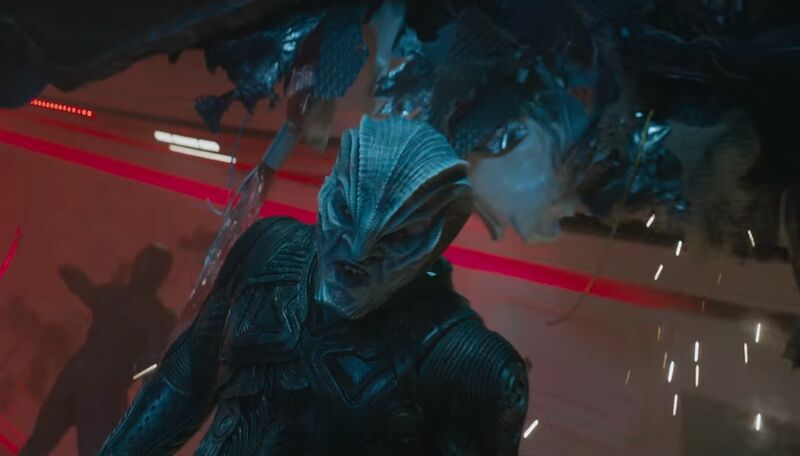 Rating: 6/10 – a middling, superficially diverting entry in the Star Trek canon, Star Trek Beyond is nothing new or special, and only occasionally rises to meet the demands of franchise (and genre) expectations; more a case of “boldly going where everyone has been before” than anything else, the movie is yet another reminder that the odd-numbered entries in the series are the ones that don’t always work. … and now that the dust has settled, it might be time to reboot Hitman, which we made and released in 2007. I think enough time has gone by that people will have forgotten just how bad/disappointing/clumsy the original was, and how we nearly sabotaged Timothy Olyphant’s career. I would suggest we get the original writer back on board, Skip Woods, and get him to fashion a Hitman movie that combines an original story with references and elements from the video games. I know he penned the original script, and I’m further aware that it wasn’t the best received script we’ve ever produced, but I believe that even in Hollywood, everyone deserves a second chance (don’t they?). Perhaps we can entice a more well-known actor to the main role, Paul Walker for instance, or Vin Diesel (either of those Fast and Furious guys) as Olyphant has made it clear he doesn’t want to return to the role as “his house is fully paid for now”. Other casting will depend on Woods’ script and the availability of non-A list stars for the secondary roles, while it might be best to hire a British actress with little experience to fill any lead female role. In terms of hiring a director, and in order to keep costs’ down, I would advise we give the job to someone with a background in commercials, and who hasn’t actually directed a movie before. This will allow us to bring a (hopefully) fresh approach to Woods’ script, and a visual look to the movie that will remind people of movies such as Equilibrium (2002) and the Resident Evil series. In terms of budget, and again in order to reduce costs, we should film abroad – Singapore, maybe – and keep the budget to between $30 and $40 million dollars. That way, and allowing for foreign distribution rights, DVD and Blu-ray sales, and any further revenue, the movie should be a financial success even if it is slated by the critics. That’s all for now. Let me know how you want to proceed with these particular projects, and once things are in place, I’ll get back to you. 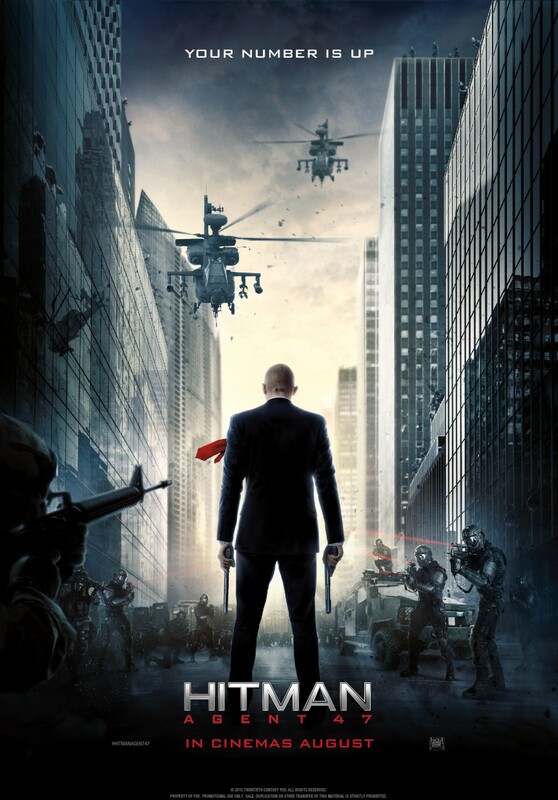 Rating: 4/10 – professionally made tosh, Hitman: Agent 47 retains a modicum of credibility but only because it exists in a parallel world where the police don’t get involved in any gunplay, and where someone can be said to have subdural body armour – and no one blinks an eye; Friend is efficient though too remote, and Ware is blatantly awkward, leaving no one to carry the film on a human level, and allowing it to get by on badly edited action sequences that would have been even worse if they hadn’t been orchestrated by John Wick (2014) directors David Leitch and Chad Stahelski.